Ian Fleming didn’t really set out to be a great writer when he first sat down to type what would eventually become Casino Royale—and create the pop culture icon in James Bond that we still experience to this day. It turns out his great reason was a bit more banal: he wanted something to do to take his mind off marriage. The tidbit comes from a letter to a friend penned by Fleming in 1956 as he looked back on the first steps he took that lead to the creation of Special Agent James Bond—reprinted in The Man with the Golden Typewriter, a collection of Fleming’s letters edited and collated by his nephew, Fergus Fleming. The book, which came out last week, also has an audiobook version with narration from British actor Julian Rhind-Tutt—and we’ve got an exclusive clip recounting that letter that you can check out below! From spearfishing in Jamaica to writing Bond? Not a bad diversion at all, Mr. Fleming. The Man with the Golden Typewriter: Ian Fleming’s James Bond Letters is available now both in hardcover and digital book formats, as well as through Audible.com. 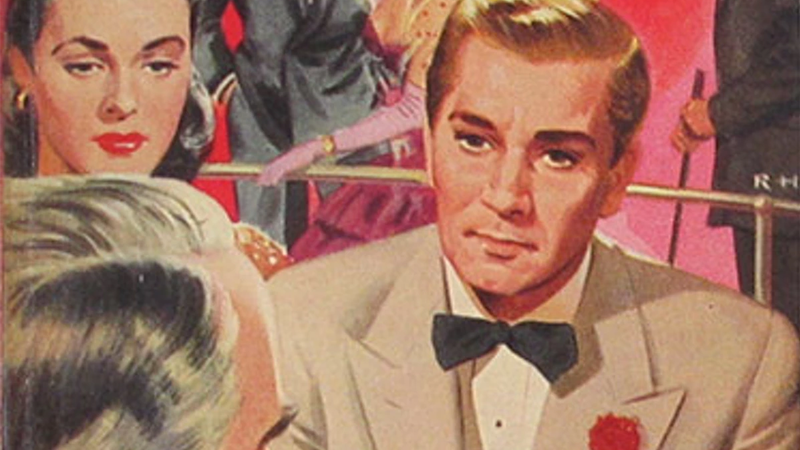 Header Image: Cover art for Pan Book’s first UK edition of Casino Royale, 1955. Art by Roger Hill/Pan Books.